Kollywood’s critically acclaimed actor Vijay Sethupathi, regarded as Makkal Selvan by fans, has made a name for himself with some brilliant performances. He is one of most-talented South Indian actor who’s always on a hunt for new-age films and offbeat roles. Now, moving a step away from the cliche space, Vijay Sethupathi is attempting the role of a transgender in his upcoming film ‘Super Deluxe’. Currently, the principal shoot of the film is underway in Chennai city. Apart from Vijay Sethupathi, the film has got Malayalam actor Fahadh Faasil, Actress Samantha Ruth Prabhu & Ramya Krishna in the lead roles. National Award-winning filmmaker Kumararaja is directing this action-crime thriller. Yuvan Shankar Raja is music composer and photography is by PS Vinod and Nirav Shah. Going by the list of crew members, it can be understood how brilliant (technically) is going to be. The director Kumararaja is wielding megaphone after a gap of five years. The film will showcase Vijay Sethupathi in a totally different avatar and it’s being said that it will be his best role to date. 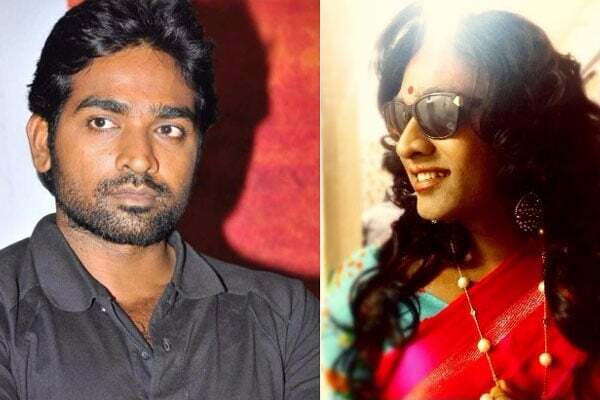 A couple of leaked images wherein Vijay Sethupathi was seen undergoing ‘transgender’ make-up have appeared online and it has caught the attention of netizens. Even actress Samantha is also excited about her role. In the past, we have seen actor Vikram playing the transgender villain as ‘Love’ in the film Iru Mugan but it was not a success at box-Office. The post Vijay Sethupathi Plays Transgender Role in Super Deluxe Movie appeared first on SouthColors.